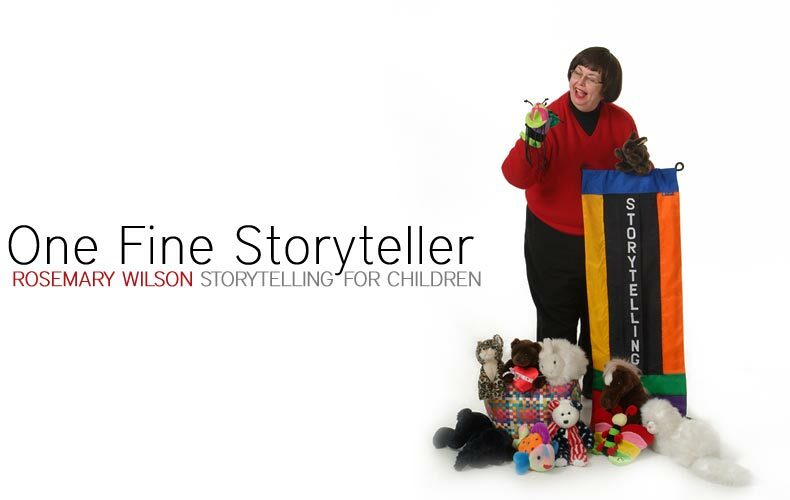 St. Louis, Missouri Storyteller Rosemary Wilson is one fine professional storyteller! She is a popular choice by St. Louis area event planners for entertaining and heart-warming programs. Be prepared for a WOW! experience when you are in her audience. Rosemary will simply amaze as she stands before you and yours and, then, looks all of you in the eye as she tells you a story. 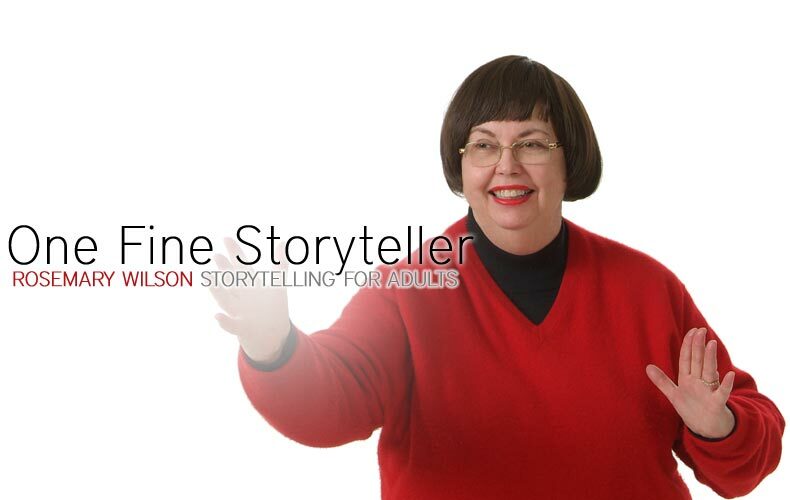 Your experience of hearing a good story well told by a live storyteller will be fantastic! Your imagination is guaranteed to be stirred by a story. In fact, you will easily recall a story told to you years later. By now you are asking, "What kind of stories does Rosemary tell? Tell me more!" 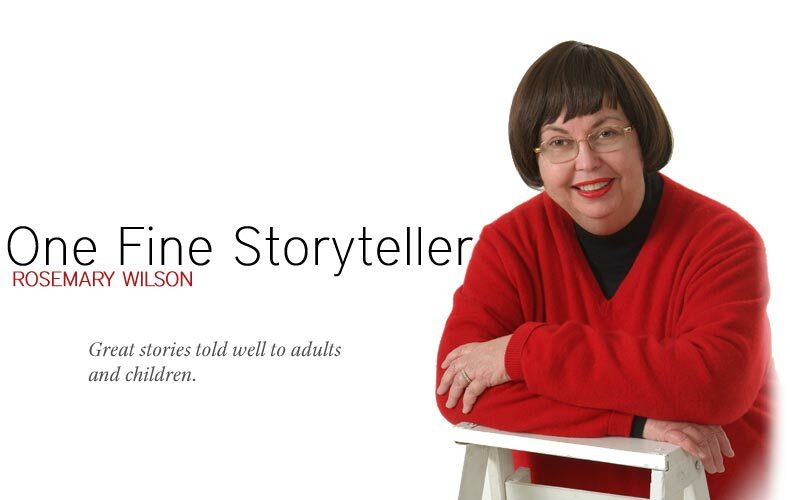 Rosemary's repertoire of stories is expertly chosen and ever increasing. 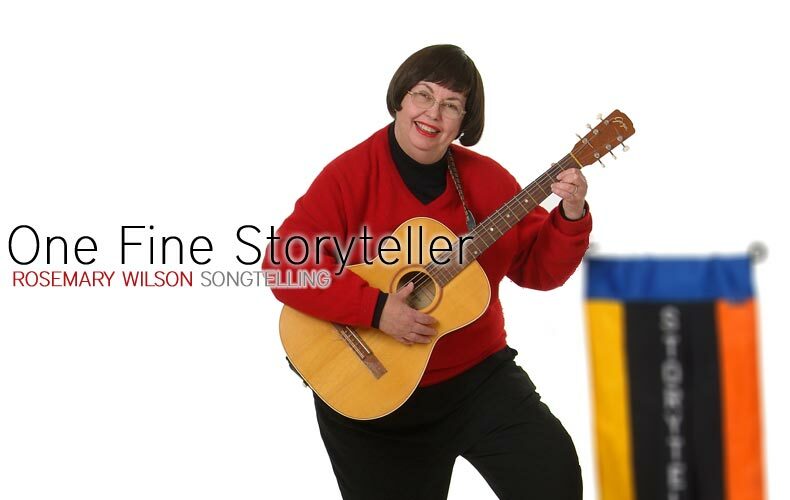 It includes tall tales (humorous), riddles, folktales from around the world, wisdom tales (motivational), fairy tales, and personal anecdotes. Know that the stories told at your program will match your theme, audience, program length and will leave your audience wanting more. Don't miss this opportunity to book Rosemary for your next event. Contact her now! All communications will receive a prompt reply. Entertaining stories and excellent customer service since the turn of the century. Content © 2001-2019 One Fine Storyteller, LLC. Design © 2010 Universal Networks, used under license. Powered by Uninet Site Solutions.